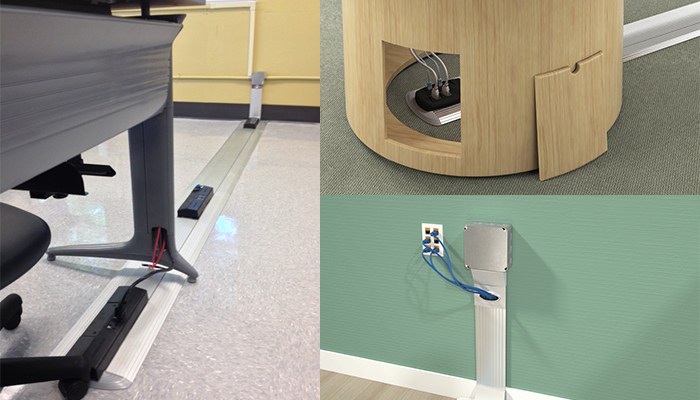 ﻿﻿The new Connectrac Surface Mounted Wireway installs directly onto any type of flooring. Great for concrete, wood and historical applications. It’s the industry’s newest alternative to core drilling and trenching, and provides a compact, low profile wireway that reaches from the wall to any type of furniture or equipment. ADA compliant - UL tested and listed. Bluescape™ is the first of it's kind, introduced at NeoCon 2013, awarded Best of Competition and Gold. Your ideas are limitless with this interactive visual whiteboard. Bluescape™ is an infinite, collaborative workspace designed to accelerate decision-making by enabling anyone to create, communicate, visualize, organize, and strategize virtually anything, anywhere, anytime.